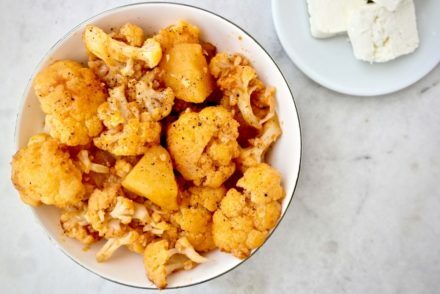 Continuing with the Ancient Greek theme, I came across several recipes while reading all these books about the food of the ancients Greeks, that looked quite familiar. When you look at these recipes, you would never think that they were “ancient”. 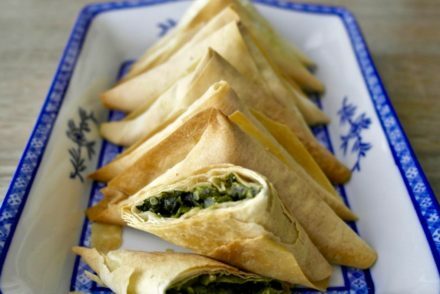 In fact, they look very similar to recipes Greeks and others make today. 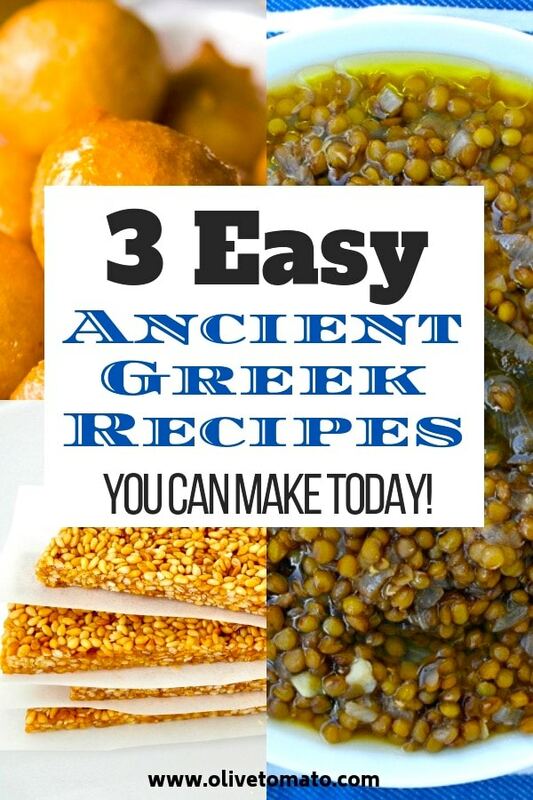 So here are 3 Ancient Greek recipes (as described in the book The Classical Cookbook) that use ingredients that you probably have in your kitchen at this very moment, so try them out, they are for the most part healthy and easy. Similar to today’s: Greek Style lentil soup made with garlic, onion and tomato: click here for the recipe. Mix the flour, water and 1 tbsp honey to form the batter. Heat some olive oil in a pan and add ¼ of the batter to the pan. When the mixture thickens, turn it 2 or 3 times until it is golden on both sides. Make 3 more pancakes with the rest of the batter. 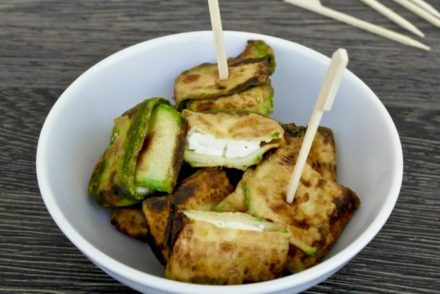 Serve with honey and sprinkle sesame seeds. 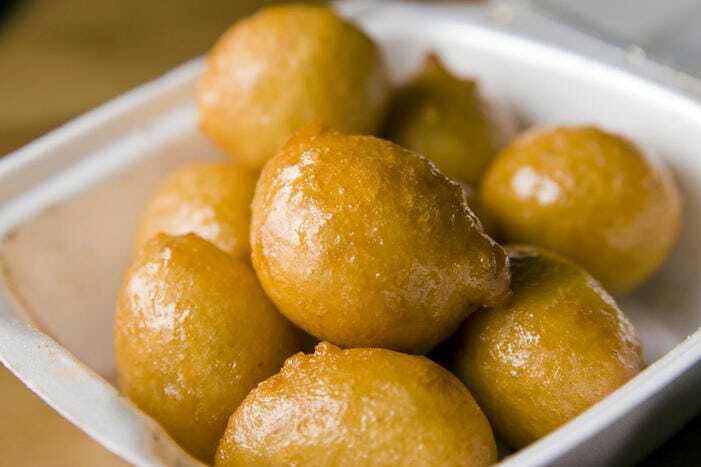 Similar to today’s: Loukoumades, a Greek doughnut fried in olive oil and drenched in honey. Preheat the oven at 350 F. Mix all the nuts except the sesame seeds and bake them for a few minutes in the oven. Do the same for the sesame seeds and then let them cool down. In a small pot let 3 tablespoons of honey simmer for about 7 minutes, add the sesame seeds, mix well. Let it cool enough so that you can handle it, pour it on an oily surface and knead into a ball. Separate it into 2 pieces, roll 1 piece out with a rolling pin into a thin sheet that will fit in a shallow pan. Place the sheet on the bottom of the pan. Put all the nuts with the pepper in a blender or mixer and mix well for about 1 to 2 minutes. Boil the rest of the honey for 7 minutes and then add all the nuts and mix well. While it is still hot pour the nut and honey mixture in the pan on top of the sesame layer. Spread evenly. Roll the other piece of sesame seed dough into a sheet and cover the nut mixture. Let it cool off for 1 hour and then cut it small pieces. Similar to today’s: Pasteli, a honey- sesame bar. Click here for recipe. * Ancient Greek Recipes Adapted from Dalby, A., Grainger, S. (1996). The Classical Cookbook. 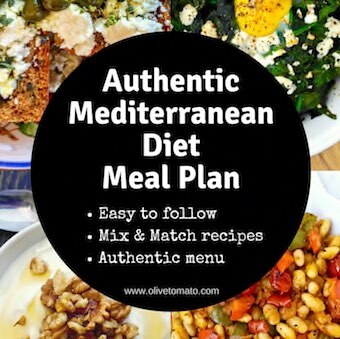 awesome recipes all very helpful!!! I love your posts and look forward to trying them. The one ancient recipe also seems to be like tiganites or koutalithes. I make them for my children for breakfast sometimes. Thanks for the information Georgia! Glad you enjoy the posts. I know I am 18 and I used this recipes for my history homework everybody loved it and I did to it was amazing , anyone out there who have not tried this 2 words TRY IT! Helped a lot with my Ancient Greek newpaper….. I know arent they I tried the pancakes and the nut cake SWEET! How many servings does the nut cake make? I would say about 20-30. These are meant to be little snacks. You often may find them in in 1-2 ounce servings. Thanks, this helped me out alot with my Project. thanks it really help me with my project!!!! Thanks for helping me with my Ancient Greece project! I can’t wait to do one of the recipes for my project! Very useful for my daughters homework! Thanks for the tips my son found it useful and his class loved the tasty treats you had a recipe for! This was really helpful for my Technology assessment in which we had had to make a recipe booklet on a specific cuisine and I choose ancient Greece. This really helped me make my booklet. I have a question in regards to the approximate dating of these recipes. What is the dating of the nut cake ? I have done some reading and found that nut cakes go back to the Ancient Egyptians. Thanks for any help you may be able to offer. This helped me with my project, thanks! What type of flour did ancient Greeks use?